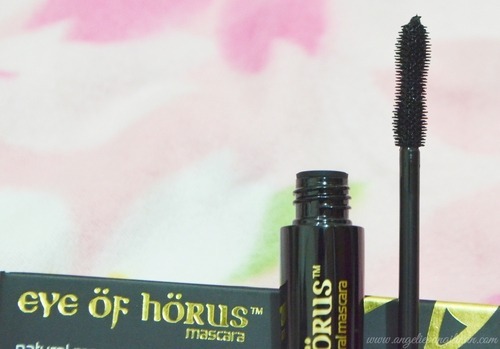 Product Description : If you’re after perfect natural mascara that won’t run, smudge or clump, Eye of Horus natural mascara is exactly what you are looking for. 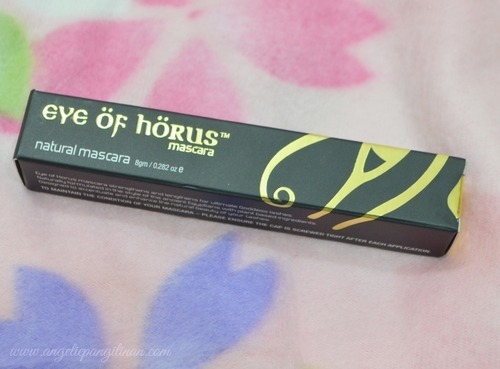 Formulated in the style of the ancient Egyptians, Eye of Horus mascara uses natural, non-irritating ingredients. 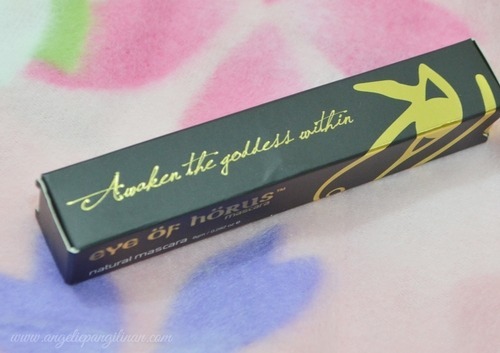 Ideal for sensitive eyes and Eye of Horus Mascara strengthens and lengthens for ultimate Goddess lashes. 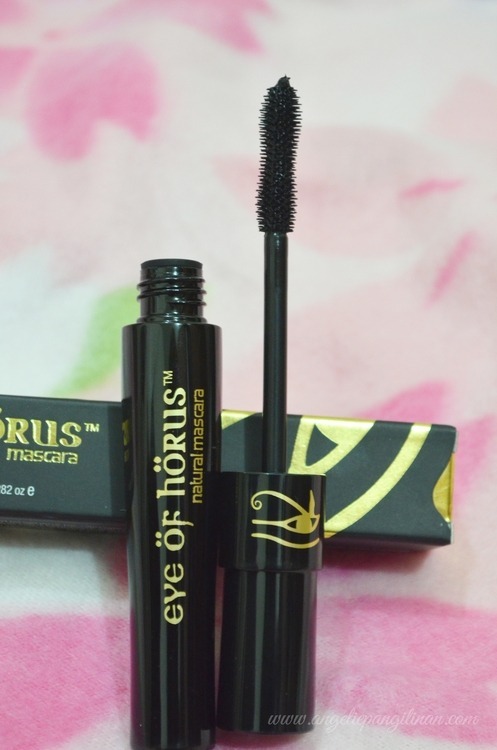 Eye of Horus Natural mascara was sent by the GlamourBox team a week ago. By the way, have you seen my Februrary Glamourbox post? This Mascara is available a GlamourBox Boutique for only only 980php. It’s a great deal considering how great this mascara is! I love the packaging too. Black and Gold combination is just so classy! It looks expensive when it’s actually not. When I opened it, there’s not much product in the brush and I’m quite disappointed, really. My first thought is that I won’t get a good coverage since there’s not much product on the brush. But this mascara prove me wrong. It was amazing! 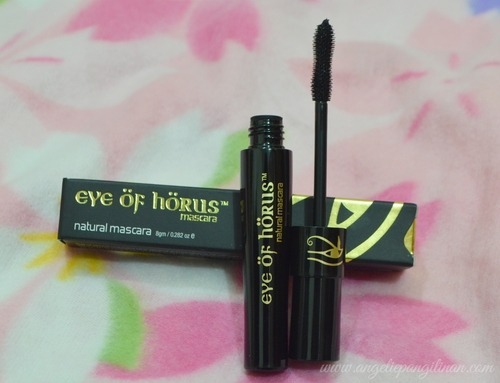 It really gives volume to my lashes and it lengthens it amazingly. I mean, I could safely say that it doubles the length of my lashes with just 2 coats. I love the fact that it doesn’t smudge, flake nor clump too. It won’t give you panda eyes, swear! Haha! I can’t say anything negative about this mascara, it is a wonderful product and is definitely a must-have. I have noticed than when I tried removing it, it doesn’t smudge unlike other mascaras. It flakes instead and the flakes clings to the cotton balls, so no panda eyes even when you’re removing it. So neat! You think I’m exaggerating when i say it doubles the length of my lashes? Here’s the proof! My lower lashes almost touches my skin. I only applied a single coat on the photos above, didn’t curl my lashes either, no edits whatsoever. My lower lashes will surely touch my skin if I applied a second coat so i settled for a single coat.